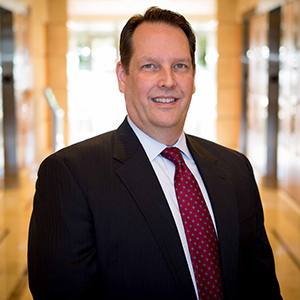 DALLAS, November 20, 2014 – Dallas-based Snelling has named Jim Berry as the national staffing services firm’s Chief Financial Officer. Prior to Snelling, Berry served as CFO for Vasari LLC, a quick-serve restaurant firm. He also held senior financial leadership roles at A.H. Belo’s flagship property, The Dallas Morning News, and fast-food giants McDonald’s Corporation and Burger King Corporation. He is a CPA and began his career at PricewaterhouseCoopers. “Jim’s financial expertise, paired with his experience at major worldwide franchises, makes him particularly well-suited to join Snelling’s leadership. We anticipate that he’ll have a strong positive influence on the company,” said David Allen, Snelling’s President and CEO. Berry received his undergraduate degree from Washington & Lee University and went on to earn his MBA at The University of Texas at Austin. Snelling is a full-service, WBENC-certified workforce management and job placement firm serving career placement, temporary-to-hire and temporary employment needs. Since opening its first office in 1951 in Pennsylvania, Snelling has grown to more than 100 office locations throughout the United States and annual revenue of $320 million. Snelling is committed to helping businesses, candidates and communities prosper by creating successful employment connections. For more information, visit www.snelling.com.